The .30-06 can be loaded with bullet weights from 100 to 220 grains. This range allows it to cover an extremely wide range of game animals. It performs beautifully from the demands of a hard hitting big game load to that of a long range precision rifle. The .30-06 does it all vey well. It can deliver velocities from 2,400 to 3,500 feet per second and energy from 2,600 – 3,300 foot-pounds coupled with a maximum of 80 foot-pounds per second momentum. 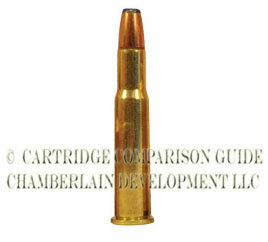 The .30-06 is also the parent case of many standard cartridges like the .25-06 Remington, the .270 Winchester, .280 Remington, 8mm-06, .338-06, and .35-Wheelen as well as many wildcat cartridges. 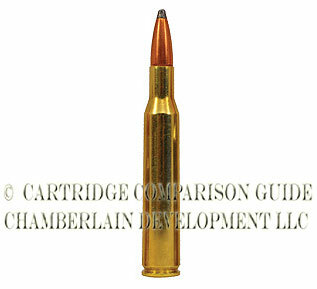 The .22 Long Rifle (LR) may not be a hard hitting long distance hunting cartridge, but finding someone who did not learn to hunt or shoot with this great cartridge can be quite challenging. Furthermore, finding a gun cabinet that does not contain a .22 LR would also be rare. Though the .22 LR may not be legal for big game hunting, it is credited with taking more game animals than quite possibly any other cartridge. The .22 LR came into existence around 1860 and has become a favorite cartridge all around the world. 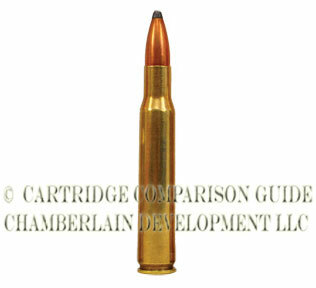 Loadings for this cartridge have always included some variant of a 40-grain bullet moving at the best velocity provided by whatever powder was available. Modern day loadings include bullet weights from 26 to 45 grains, occasionally heavier, with a range in velocity from 900 to 1,620 feet per second. Bullet energy ranges from 120 to 157 foot-pounds with 7.5 foot-pounds per second momentum. The .270 Winchester was not only made famous by its outstanding performance but also by the great Jack O’Connor. It came into existence in the early 1920s and had a relatively slow emergence as a staple in the hunting world. However, the .270 Winchester’s smaller caliber made it a good alternative to the heavier bullets fired by the .30-06. This proved versatility as a great varmint round, an excellent long range round, and a cartridge capable of taking heavy game like moose. Additionally, the explosive expansion delivered by using a 130-grain soft-lead-core bullet pushed by a .30-06-size powder charge caused many shooters to fall in love with the impressive lethality offered by the .270 Winchester. Loading potential for the .270 includes bullet weights from 90 to 160 grains. It can deliver velocities from 2,500 to 3,525 feet per second, which produces a range in bullet energy from 1,800 to 3,300 foot-pounds with 64.5 foot-pounds per second of momentum. Much like a sibling rivalry there always seems to be a heated “which is better” debate between the .30-06 or the .270. The .30-30 Winchester is a great all-around cartridge. It may not pack the punch of the .30-06 or the .270, but it has been proven in the hands of many hunters in many different situations all over the American continent. Its first variants came into existence in the mid 1890s. Each had the purpose of pushing a .30 caliber bullet with 30 grains of powder. In 1894, Winchester built the famous model 94 saddle rifle that chambered this cartridge. This eventually led to the name that stuck, the .30-30 Winchester. The .30-30 has had new life breathed into it over the last few years with the introduction of new projectiles and powders. The .30-30 can be loaded with bullet weights from 100 to 170 grains. It is capable of velocities from 2,200 to 2,790 feet per second. This loading produces a range in energy from 1,725 to 2,045 foot-pounds and up to 55 foot-pounds per second momentum. When comparing ballistics to the old buffalo bore rifles of the 1890s, it is easy to see its capabilities and why it is so highly favored.